Proudly serving Seminole County for over 37 years - SERVPRO of North Seminole County provides exceptional restoration and remediation services for both residential and commercial properties. Because emergencies tend to not abide by a schedule, our highly trained and experienced crews are dedicated to responding immediately; operating 7 days a week with 24-hour emergency service. Our job is to restore your home or place of business to pristine condition after damage has taken place. Our commitment is to walk with you through the process from beginning to end. Our goal is to provide you with a level of customer service that goes unmatched. That's why we're the most trusted leader in the industry. We live and work in this community too; we might even be neighbors. 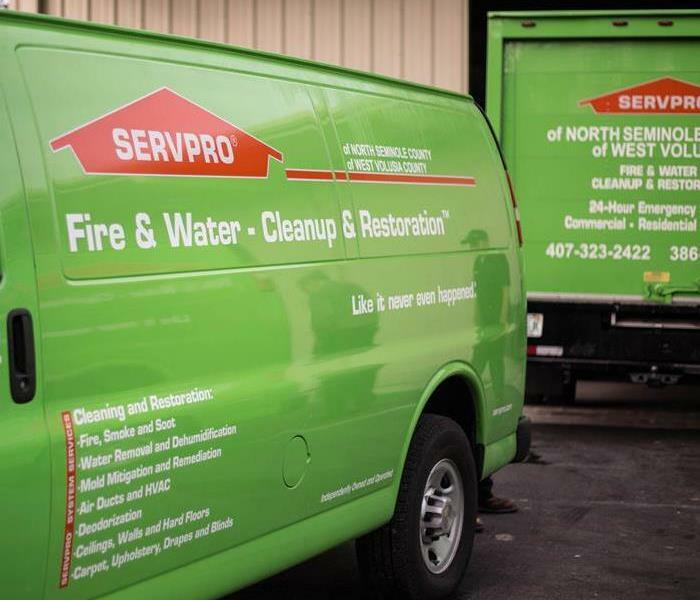 As a locally owned and operated business, SERVPRO of North Seminole County is close by and ready to respond to your cleaning or restoration needs. We are proud to be an active member of the Lake Mary, FL community and want to do our part to make our community the best it can be.